I bought the book in 2011 and read only half of the book. Until recently, I continued reading the book and found some good chapters to share. Although the author is from Taiwan, this book is written in simplified Chinese language (简体). The book is about listening and has three parts with 35 chapters. When someone speaks, the other party listens. Thus, listening is as important as speaking. There are a lot of books on public speaking and non-verbal communication, but few books on listening. 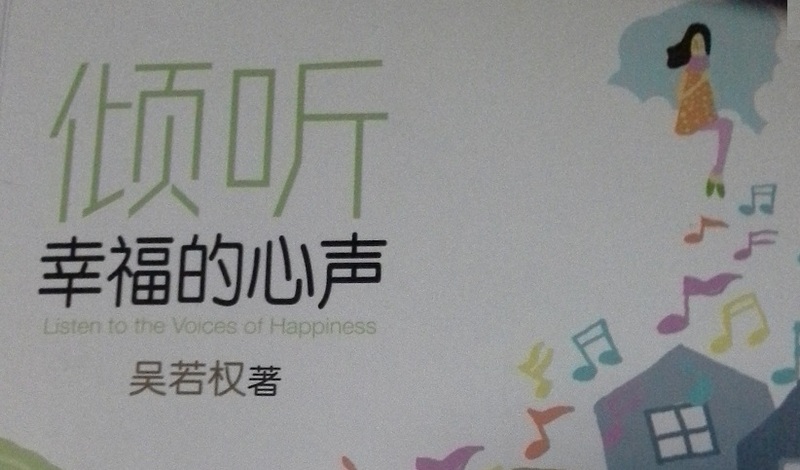 If you want to know how a good listening will help you in your daily life and you know how to read in Chinese language, this book is highly recommended. Part 1 is about the general requirements for a good listening to occur. Different chapters in Part 2 fascinate me. Each chapter talks about different relationships in life. Take the example on the communication with teenagers; most of the time, parents and adults think that teenagers are still young and should listen to parents and adults. Have you ever thought that children have their own opinions? Instead of nagging and giving advice, why not we let the children and teenagers voice out their opinion? In the chapter, the author gives examples on how parents can listen better and encourage the children to say more. Fast forward to 20 years later, when the children have grown up and the parents have grown old… Yes, we still face the same communication problem with our aging parents. Similarly, a good listening helps us to communicate better with our parents and elderly. Part 3 contains chapters about the problems that we face when we want to listen actively, chapters about how sometimes listening without talking is good and the last chapter ask us to listen to our own heart. The examples given in the book are some common scenarios that you may face in real life. Sometimes, I wish the book can be thicker so that the author can put in more examples. Nonetheless, if the book were thicker, I would not have finished reading it. Listening is an art, if you appreciate it and able to apply it in your life, you will have a better life. Happy reading and listening! By Wendy in Languages on 19/11/2013 .